Isn’t the internet marvelous? Seriously, I dare you to name an invention in the last century that has had more impact on how we live. For better or worse, it has brought the whole world to our fingertips. When you’re preparing to move to the opposite side of the planet, having a lot of information at your fingertips is a gift. Aaand kind of a curse. I’ve spent the last six weeks learning an incredible amount about the United Arab Emirates. Lots of it super helpful, legitimate information, some of it sort of scary, and plenty of it likely unreliable. It’s kind of like reading reviews online for restaurants- you never can tell if any one reviewer had a genuinely bad experience, or if they’re just basically a difficult, negative, impossible-to-please type of person. So, I learn and I learn, and I take it all in with a grain of salt and I wait for my real experience there to form my final opinion. Nevertheless, this past Saturday night I found myself researching online, way too late into the evening, and feeling overwhelmed with the other-ness of what I was going to be facing in such a different country. What struck me most that night was how privileged I am to be Canadian. While I have always been thankful for the freedom my country provides me, I see now, when faced with the restriction of my freedoms, how truly ingrained they are within me. Since elementary school I have known that being Canadian allows me certain rights and responsibilities. 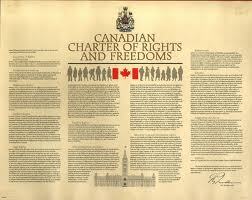 In high school I actually had a copy of the Canadian Charter of Rights and Freedoms hanging on my bedroom wall. Yeah. That’s real. Ask my friends. It’s baffling that I didn’t have a boyfriend, right? It’s possible that Dwayne doesn’t know this about me yet. Thankfully he’s fully committed to me already. Aaanyway, thanks to this great country, I have come to expect both freedom and security. I am generally confident that if I live within the laws of my land, justice will be on my side. I am unlikely to face danger or imprisonment for what I believe. Or if I ever do, I believe I would also have an advocate. Someone would help me. Someone would stand with me. Now please don’t misunderstand me- I am not afraid to go to the UAE. It seems, by all accounts, to be a perfectly beautiful, wonderful, and safe country. Just because it’s different does not mean it’s more dangerous. In fact, the crime rate is lower there per capita than here in my lovely city. It just occurs to me from time to time, that it’s not my home. I will be a foreigner there. From a very different upbringing and value system. And something about that, on Saturday night, left me feeling more vulnerable. And then, wouldn’t you know it, on Sunday morning, God replied to my insecurity. God clearly had my attention already, but then, a little while later, came the bridge. I felt the Spirit say so strongly to me, over and over, “I’ve got you. I’ve got you. I’ve got you, Jen.” I don’t need a charter, or an embassy, or a justice system on my side. I don’t need to be within the borders of my home country. In fact, even when I seemingly had those things to rely on, they didn’t deserve my trust either. None of those things compare to the confidence I have in my God. In his strength and sufficiency. He is my advocate. He will help me and he will stand with me. His Spirit is leading me out on the waters and I’m depending on him alone.